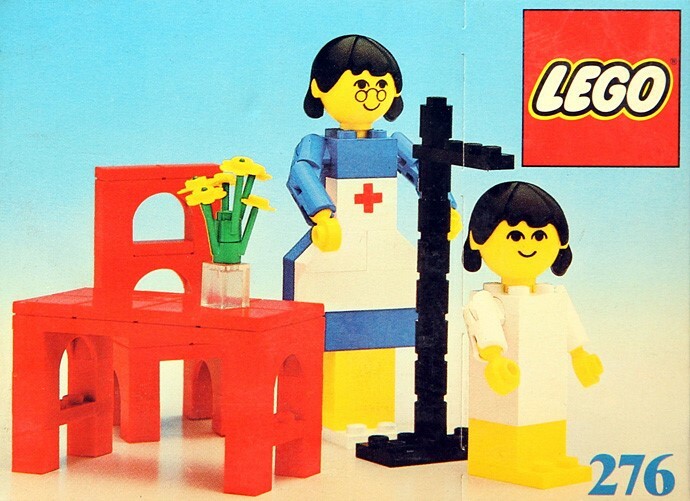 I'm pretty sure the LEGO figure on the right is the daughter from a 1977 set Nurse and Child. 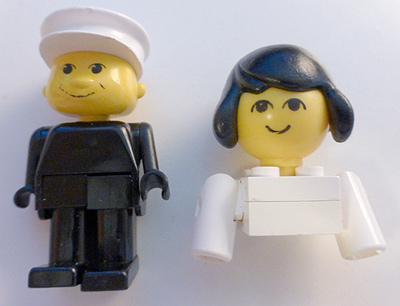 But what about this style of jumbo minifig on the left with arms and legs that bend? When was that from? 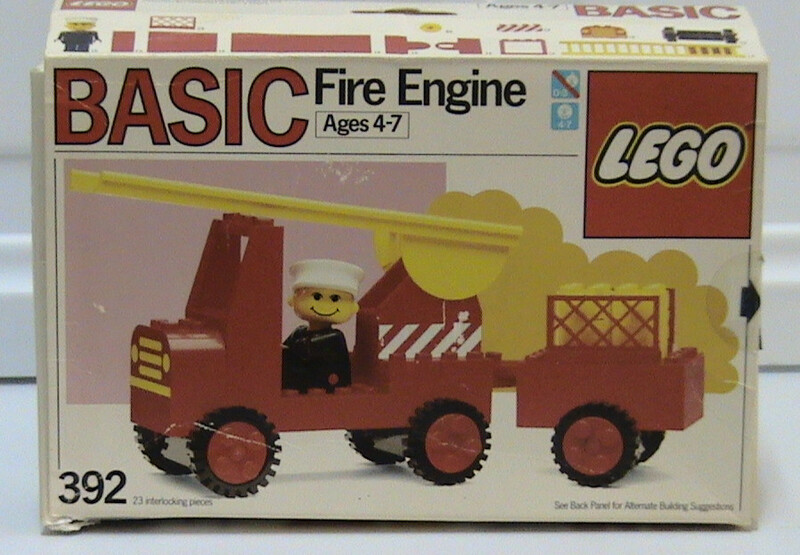 It might be from a LEGO Basic set? What different styles of minifigs has LEGO produced over the years? 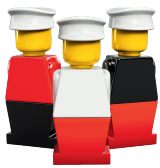 LEGO released a history of the minifig that you might find interesting. In addition to the traditional minifig, you may also come across Technic figures which were around for a time. Not the answer you're looking for? Browse other questions tagged piece-information minifigures part-identification or ask your own question. What is piece 4211642 from 10179 - UCE Millenium Falcon? Are Bandai “Figmes” compatible with LEGO? When did LEGO Minifigure Leg mold designs change?